We’re not talking about 3DS games either, Nintendo is FINALLY getting into the cell phone/tablet market with a new deal inked with DeNA. Nintendo says that these won’t be mere ports of popular games but brand new entities that are developed specifically for mobile. The partnership will send 15 million DeNA shares, or a 10 percent stake to Nintendo, and in return DeNA will acquire about 1.759 million Nintendo shares, or 1.24 percent of the company. This is possibly major news for anyone looking to get Mario, Zelda, or Pokemon on to their phones. It also appears that the 2 companies will work together to create a gaming and social ecosystem, like the now defunct Club Nintendo, running on DeNA Mobage platform. On the same note, Nintendo has also offered out that they are currently working on “new hardware with a brand new concept”, but we will need to wait until next year for more information on that. This comes as great news since the Wii U lags behind pretty much everyone in install base and has been out a solid year longer. 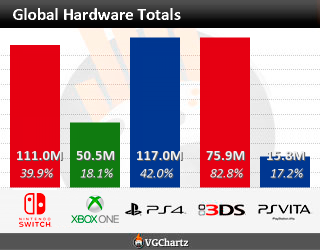 Most of the blame can probably be placed on hardware capabilities of the unit itself, as it barely edges out the previous-gen Xbox360 in specs, but Nintendo will need to put out something that’s more powerful than both the XBone and PS4 in order to strike a cord with core gamers (especially since they will now be unveiling off cycle with the others). With the success of the 3DS it wouldn’t surprise me if they decided to only go mobile platforms, I doubt it will happen anytime soon, but it wouldn’t surprise me haha. It’s definitely going to be a while before the mobile aspect really starts taking root, but Nintendo has said that every IP is available to DeNA to start using; nothing is sacred.